This morning at dawn we walked to the hide at Boeng Toal to see if any vultures had come in to feed on the cows. 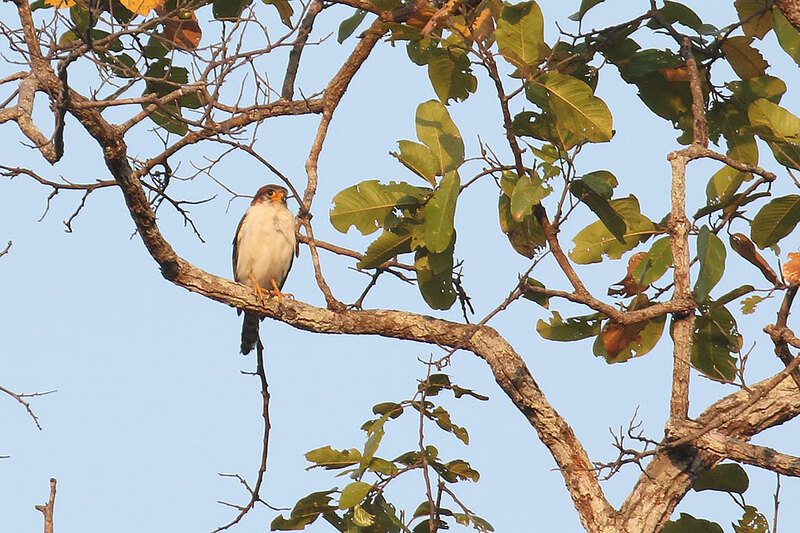 At the hide, an Indochinese Bush Lark was feeding in the grass, and some Crested Treeswifts were flying around. We could see that there were still groups of vultures in the far trees. They looked interested, and eventually flew a lot closer. They didn’t come to the cows though, so we left the hide to have a look around the forest. 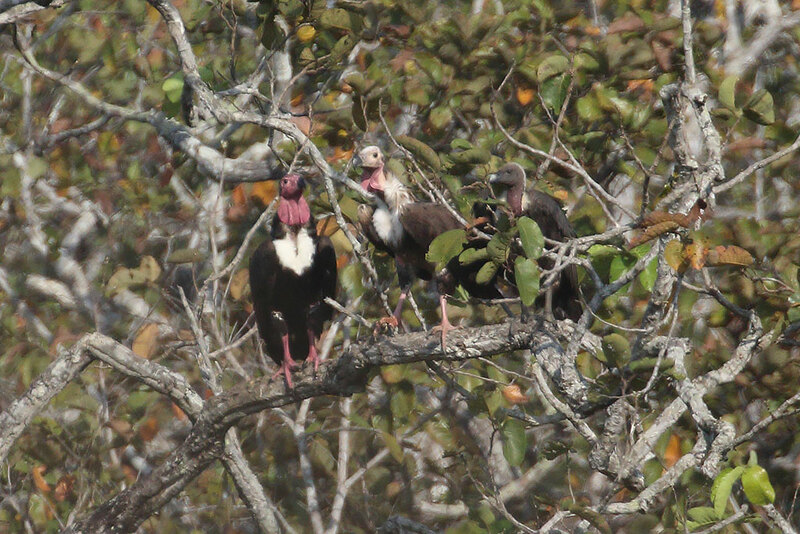 We were in contact with one of the guides in case the vultures came back to feed. The forest near the hide was quite productive. 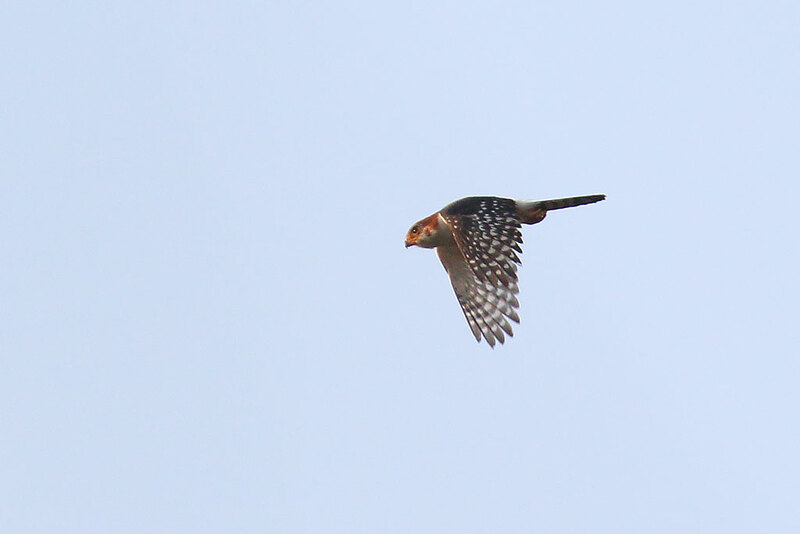 Aidan picked up a nice a nice White-rumped Falcon, the only one we saw on the trip. 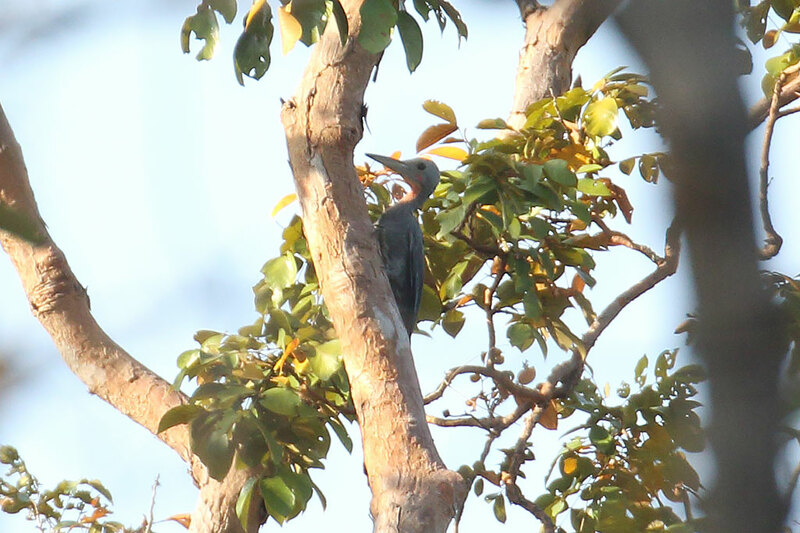 We also saw an impressive Great Slaty Woodpecker which is one of the largest woodpeckers in the world. It clung to a tree for about 10 minutes before flying, and we got great scope views. 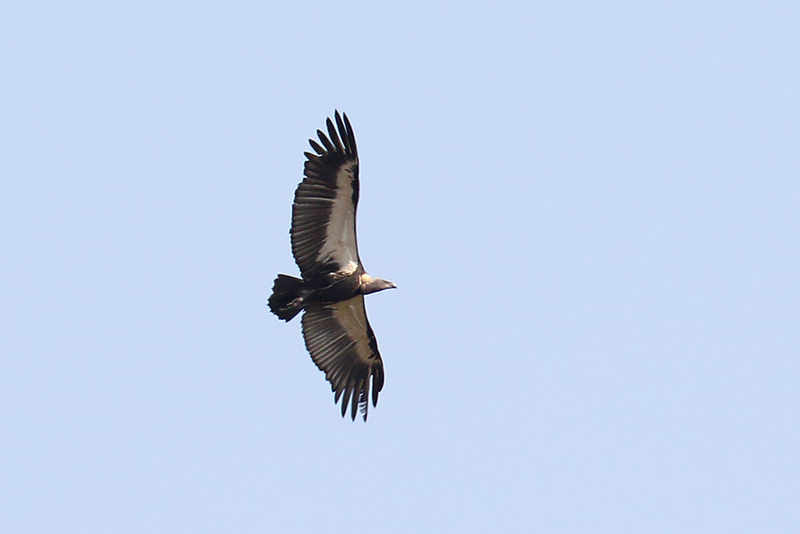 We went back to the hide, but no joy with the vultures coming in. Pity we didn’t have time to stay, as they looked as if they were close to coming in to feed. We had to go as we had a long drive to Kratie ahead of us. 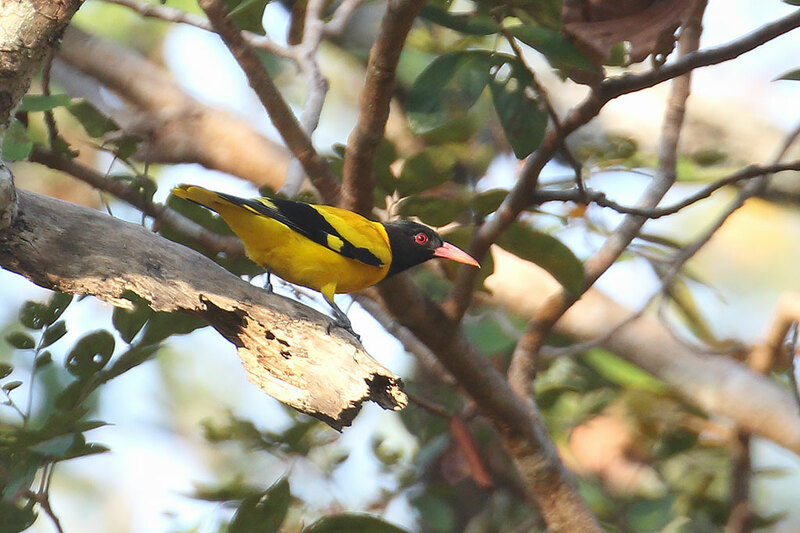 Kratie is a town on the Mekong River, and nearby is a site for Asian Golden Weaver. 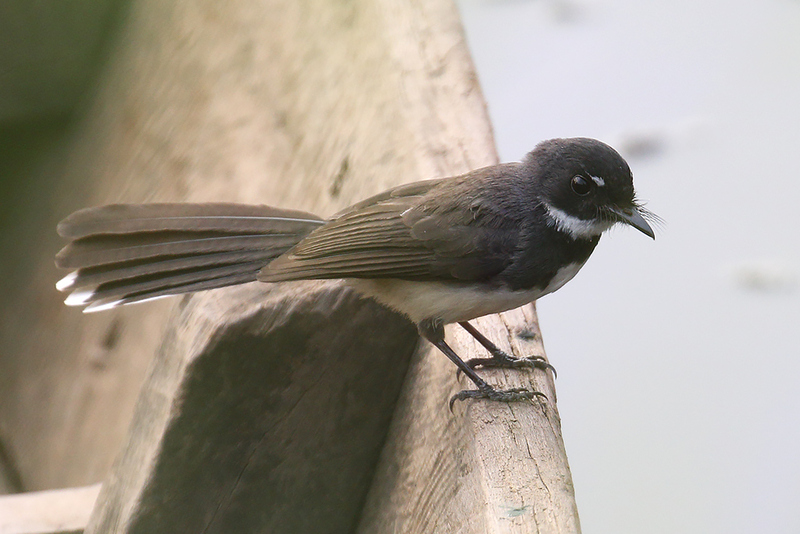 Arrived late afternoon, and drove straight to the weaver’s site 4 km north of Kratie. At this time of year, the weavers are a bit tricky to identify. 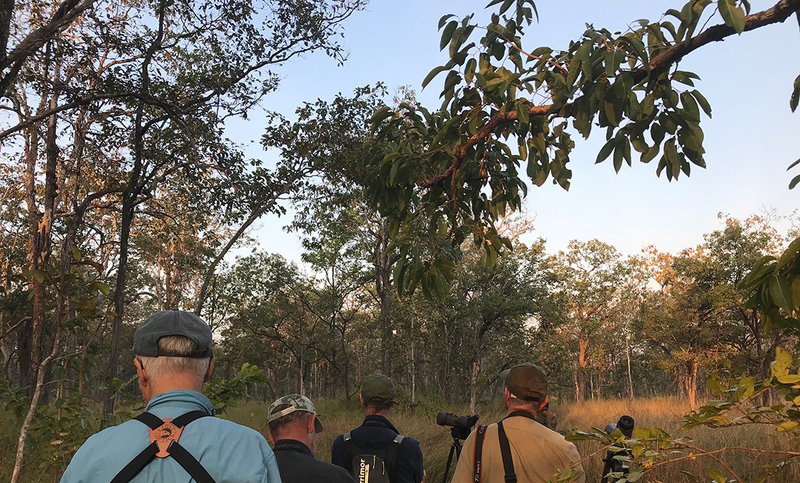 We saw a mixed group of weavers, but they were a bit distant, and we couldn’t identify with certainty any Asian Golden Weavers among the Baya and Streaked Weavers. It was getting dark, so we left to try again in the morning. Boeng Toal, Preah Vihear Province, Cambodia. December 22nd, 2018. Kratie Wetlands, Kratie Province, Cambodia. December 22nd, 2018. Boeng Toal, Cambodia. December 22nd, 2018. Near Kratie town, Cambodia. December 22nd, 2018.